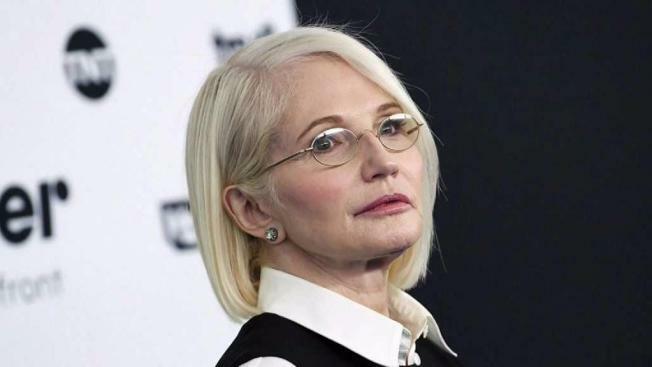 Ellen Barkin fended off a burglar who broke into her Greenwich Village apartment early Wednesday, holding a door to an outer balcony as he tried to push his way back inside, law enforcement sources familiar with the investigation told News 4 New York. Marc Santia reports. Ellen Barkin fended off a burglar who broke into her Greenwich Village apartment early Wednesday, holding a door to an outer balcony as he tried to push his way back inside, law enforcement sources familiar with the investigation told News 4 New York. Sources said the 63-year-old actress was in her apartment on West 12th Street about 7 a.m. when she noticed a strange man; he was also inside and was heading to a third-floor balcony. She shut the door to keep him outside and held it as he tried to muscle his way back in, the sources say. The man was holding a bag of jewelry, though it's not clear if it belonged to Barkin. He dropped the bag on the balcony, then jumped onto the fire escape and ran off. NYPD canvassed the area but didn't find the suspect. Barkin, who was born in the Bronx and has starred in films including "This Boy's Life" and "Sea of Love," was not hurt. NBC 4 New York has left a message with a representative. The suspect is described as being in his 20s and about 150 pounds. He was last seen wearing a black skull cap, a light hooded sweater, jeans and carrying a black bookbag. Anyone with information about the break-in is asked to call Crime Stoppers at 1-800-577-TIPS.